If you contract to the tune of $64 million for a counternarcotics plane and it never flies, should you keep your job? 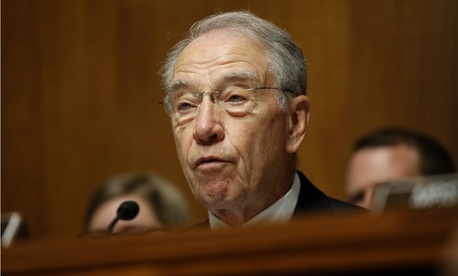 That’s what Sen. Chuck Grassley, R-Iowa, wondered in a Sept. 20 letter to Defense Secretary James Mattis blasting the Defense Department and the Drug Enforcement Administration for their seven years of work on a “hangar queen,” as the senator called it. The ATR-42-500 aircraft was adopted for the joint-agency Global Discovery Program aimed at curbing the opium trade in war-torn Afghanistan. But it became the subject of probes for waste by inspectors general for both the Justice and Defense departments. The problems with the ATR-42-500 laid out by the watchdogs began after 2008, when the Defense Department was brought in to modify the DEA’s plane with surveillance equipment at a time when the U.S. effort in Afghanistan was flagging. In a report released this month by the Pentagon IG, the Office of the Deputy Assistant Secretary of Defense for Counternarcotics and Global Threats was accused of not tracking costs, using inexperienced managers and of changing too many personnel. Justice’s IG had released a similarly critical report in March 2016, after performing an audit of the DEA’s contracting memoranda and finding violations of the Federal Acquisition Regulation, cost overruns and missed deadlines, based on whistleblower complaints. It reported that the plane never flew (it is now to be auctioned off).